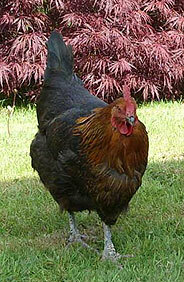 Black Rock Chickens are an American bred Hen. 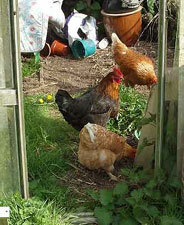 Known to lay 280 eggs per annum, they are hugely popular with back garden Chicken Keepers. They are known to be very docile birds and love the outdoor life whatever the weather. My Black Rocks mix very well with other breeds. They will look after themselves but are rarely the aggressor. 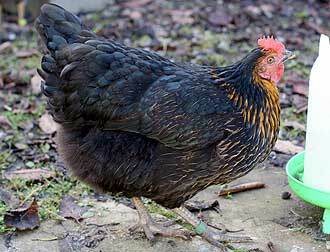 We average 5 eggs a week from our Black Rock, now the clocks have gone back this is now down to probably 3 a week. we find them a very friendly breed, she seems almost water proof, standing out in heavy rain that leaves other breeds drenched right through. I had two Black Rock Chickens mixed in with some Light Sussex and ex-Battery Hens, they paired off and seemed to keep themselves to themselves.